It is the Church’s primary mission to bring “people close to the sources of the Savior’s mercy, of which she is the trustee and dispenser…It is the sacrament of Penance, or Reconciliation, that prepares the way for each individual, even those weighed down with great faults. In this sacrament each person can experience mercy in a unique way, that is, the love which is more powerful than sin” (Dives in Misericordia, 13). If exercising His Mercy on sinners brings joy to God and the primary way this is done is through the Sacrament of Confession, then each of our confessions is a source of joy to God Himself. 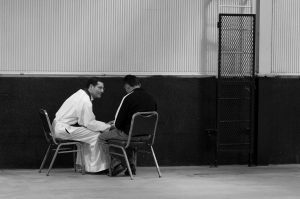 Many of us struggle to see Confession as something that brings great joy to Heaven and are in great need of some reflection upon this healing Sacrament. In His first post-resurrection appearance to the Apostles, Jesus instituted this great Sacrament (Jn 20:19-23). His desire for it is one of the things that catapulted Him out of the grave. Despite this reality, many of us have a wholly negative view of Confession rather than a holy good one. A Sacrament is a face to face encounter with the Risen Christ. When we step into the confessional it is that same Christ that awaits us in the person of the Priest. 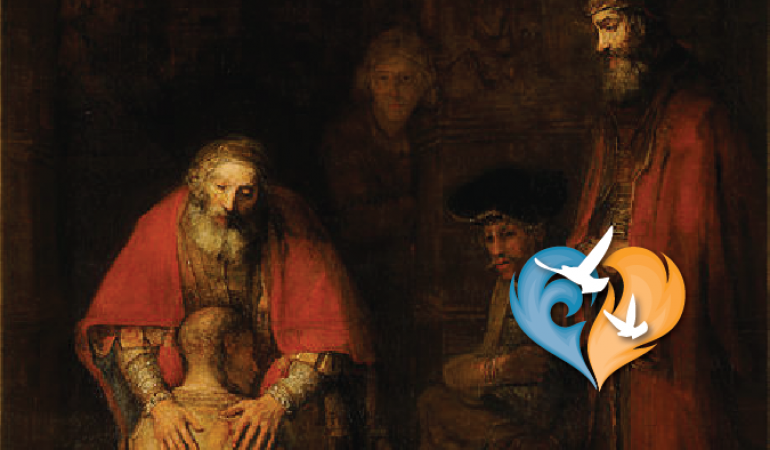 He is there, wounds and all, to remind each one of us that His mission of mercy never ceases. He has extended it throughout time in the Church especially in her power to forgive sins. Confession is absolutely necessary when we are conscious of having committed any grave sins. This we accept as a given, but many of the great saints, even though they had moved beyond committing mortal sin, still went to Confession regularly. They recognized, as we should, that regular Confession is a healthy part of the life of every Christian who desire holiness, but struggles with habitual venial sins. “[T]o hasten daily progress along the road to virtue we wish the pious practice of frequent confession to be earnestly advocated. Not without inspiration of the Holy Spirit was this practice introduced into the Church…By it genuine self-knowledge is increased — Christian humility grows — bad habits are corrected — spiritual neglect and tepidity are countered — the conscience is purified — the will is strengthened — a salutary self-control is attained — and grace is increased in virtue of the sacrament itself” (Mystici Corporis Christi, 88). The Pope is offering to the faithful a sure means “to hasten daily progress along the road to virtue.” He is attempting to change our paradigm by painting Confession in a positive light in order that we might use it as a key tool in climbing the heights of sanctity quickly. At times we can overly focus on accusing ourselves; making a laundry list of our sins. In truth, the actual confessing is only a small part of the Sacrament (again this applies to venial sins). Provided we confess a single venial sin that we are sorry for, then the Sacrament is valid (meaning all our venial sins are absolved, confessed or not). The focus for the frequent Confessor should be to stir up contrition for our sins. Contrition is the sorrow of soul for sin committed and a firm purpose not to commit it again. It also increases in us the virtue of penance, that is, a desire to repair the harm done by our sins. 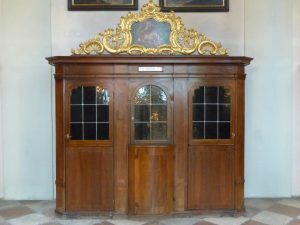 The grace unique to the Sacrament of Confession, called a Sacramental grace, is to strengthen our wills to make a firmer purpose of amendment. All too often we grow discouraged bringing the same set of boring sins to Confession, month after month. By continuing to confess them however, the Sacrament gives us the grace of perfect contrition. It may be impossible for us to avoid all sin in this life, but it empowers us to have perfect sorrow for those sins we do commit. We may not be perfect, but we can be perfectly sorry! Confession, once properly understood, becomes a key weapon for spiritual warfare. With frequent confession comes the freedom to focus on those faults we are actively trying to conquer. This is why we should avoid the laundry list approach. The grace of the Sacrament empowers us to defeat those specific vices and to replace them with their opposing virtues. Like a good spiritual soldier, once we conquer one set of vices, we move on to the next. Divide and conquer! Included in the things we should confess are things that we are particularly sorry for and that we had previously conquered and have moved back into our lives. Even the sins of our past life that have already been confessed but still hold some appeal to us can be material for confession. Again, if one of the fruits is to stir up contrition then we can more fully express our sorrow for those sins. True sorrow for our sins is what helps us to avoid them in the future. This of course presupposes and, as Pius XII mentions, increases genuine self-knowledge. Our confessions will bear more fruit, the greater our self-knowledge. This is greatly helped by developing the habit of saying why we commit the sins we did. The same sin can be committed for different reasons. I may be impatient in a conversation with someone because I don’t really care what they have to say (pride), or because I want to impress them with what I have to say (vanity) or because I have grown impatient standing around listening to them (sensuality). It is the same sin, but based on our predominant fault was committed for different reasons. It is the predominant fault that we want to attack. We should accuse ourselves along with the predominant fault so as to shed the light of grace upon our weakness. This brings up one final point and that is the necessity for a methodical approach to our daily examination. We should focus on one thing in particular and see how we did for the day. Then we can look at the rest of our day. 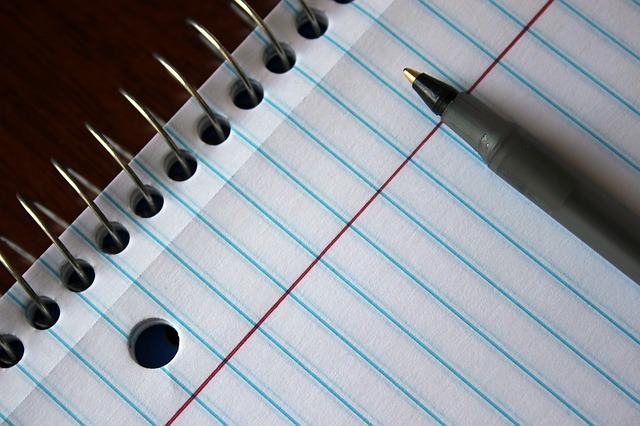 Writing down what we discover in a small notebook will enable us to see our patterns more clearly and also give us the material to make a good confession next time we go. Unless you have not been in a while or are making a general confession, we should avoid using Examination of Conscience material found in prayer books. All too often this leads us to examine someone else’s conscience and not our own. One of the not-so-hidden gems of the Ignited by Truth Conference is the easy access to the Sacrament of Confession. A number of priests from the diocese are available throughout the day Saturday to hear the confessions of the conference attendees. The line can be long, but they are situated such that you can still hear the speakers while you wait. The goal of the conference is simple—conversion of each and every conference attendee. It is achieved each time the words of absolution are spoken throughout the day. As you make plans to attend the Conference, why not also make plans to go to Confession and resolve to make it a regular habit?